Shopping Express®: Return tickets for the Shopping Express® weekend coach service from the centre of Brussels to Maasmechelen Village. Lunch: A €20 voucher for a delicious lunch at Ellis Gourmet Burger. With this exclusive package, spend a whole day at Maasmechelen Village. Depart from Brussels in the morning with the Shopping Express®, the luxury coach service on Saturday and Sunday, returning in the evening. You will receive a €20 lunch voucher for Ellis Gourmet Burger and a €25 Maasmechelen Village Gift Card. The Gift Card is valid in all boutiques and restaurants at the Village. You will also benefit from a 10% saving on the outlet price in the boutiques of your choice, with the VIP Day Pass*. *The VIP Day Pass is not valid during the sales period (December to January and June to July). Relax in an elegant environment with rustic achitecture while you discover more than 100 boutiques of the world's leading brands, offering savings of up to 60% on the recommended retail price. How do you make use of this package? After your payment you will receive a confirmation mail. 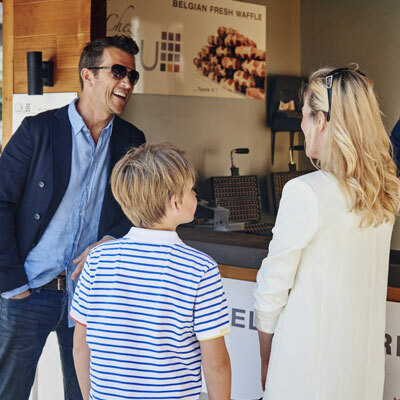 Simply present the email at the departure point of the Shopping Express® to board, and present it again at the Tourist Information Centre when you arrive at Maasmechelen Village to collect your VIP Day Pass, your Gift Card and your lunch voucher. The Gift Card is not included in the children's package. With the VIP Day Pass you will receive a 10% saving in the boutiques and restaurants of your choiche. The VIP Day Pass cannot be exchanged for cash or combined with other promotions, offers or round prices. The pass cannot be used during the sales period (December to January and June to July). The Maasmechelen Village Gift Card terms and conditions are available from the Tourist Information Centre at MaasmechelenVillage.com. The Gift Card is only available in the package for adults which takes 48 hours to process and therefore cannot be redeemed within that time. With this exclusive package, spend a whole day at Maasmechelen Village. Depart from Brussels in the morning with the Shopping Express®, the luxury coach service, returning in the evening. You will receive a €20 lunch voucher for Ellis Gourmet Burger and a €25 Maasmechelen Village Gift Card. 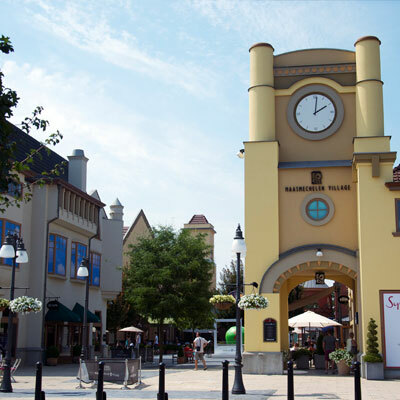 The Gift Card is valid in all boutiques and restaurants at the Village. You will also benefit from a 10% saving on the outlet price in the boutiques of your choice, with the VIP Day Pass*.